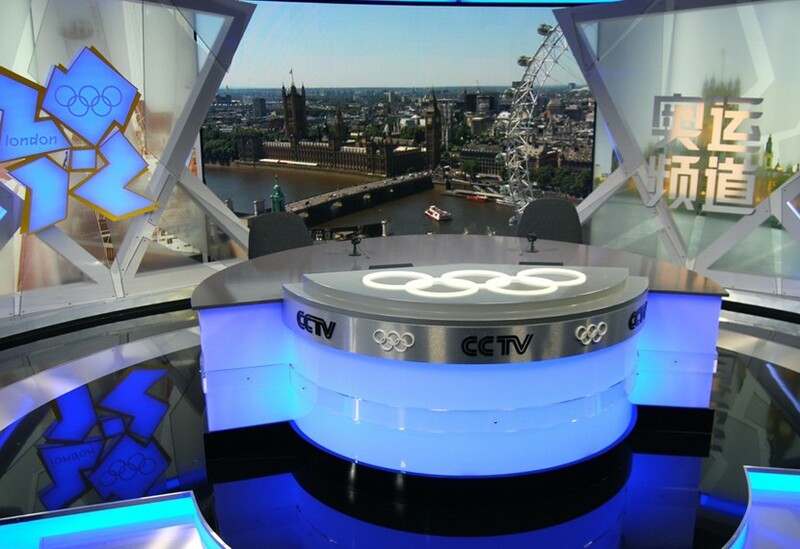 We manufactured a series of four high-spec sets for the Chinese sport channel, CCTV to be located within the Olympic Park’s International Broadcast Centre. 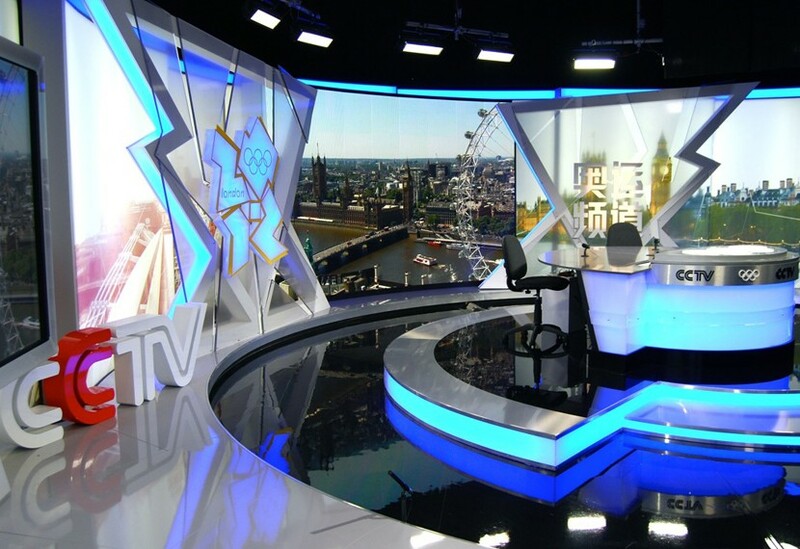 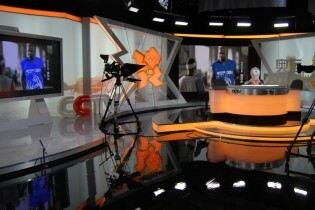 The largest set, Studio A, used acrylic panels, including two geometric shaped panels with aluminium trim that overlapped large photographic London views. 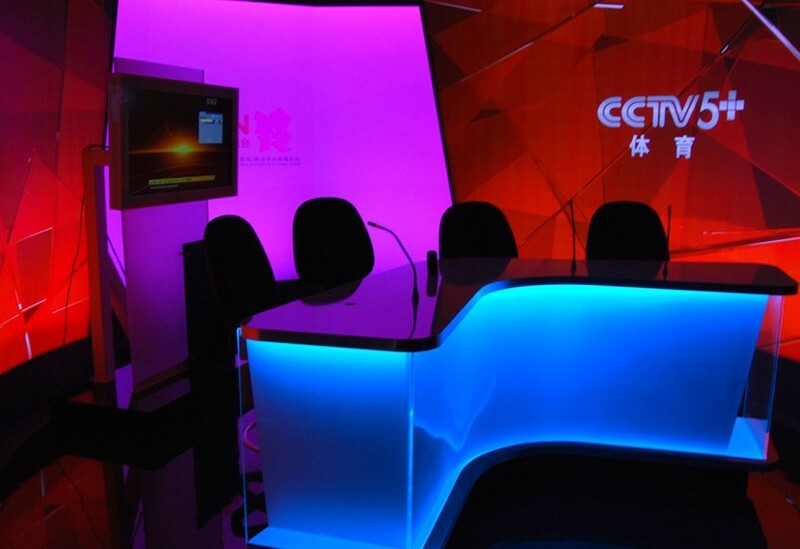 We also manufactured various logos and a presentation desk. 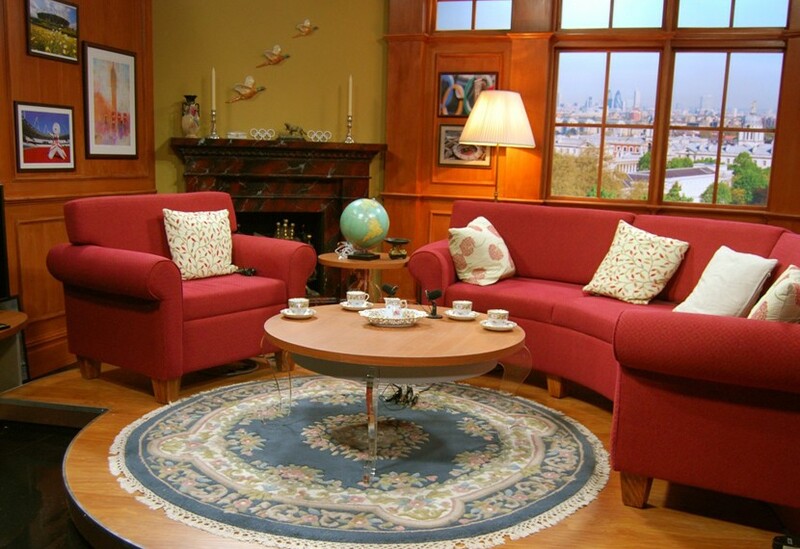 Studio B was created in the style of an English gentlemen’s club, complete with ‘oak’ panelling, flooring, framed windows, fire place, book cases and curved red sofa. 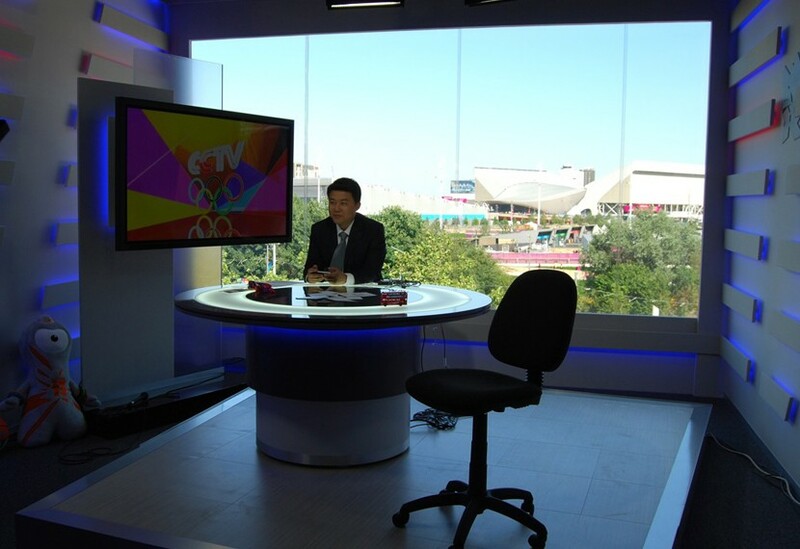 A highly convincing ‘wood grained’ panelling was created and hung with framed artwork of Olympic and London themed sights. 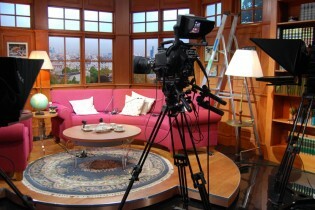 On-going investment in all our workshop facilities enabled us to comfortably handle these and other diverse London 2012 projects simultaneously: all in-house.